Hot of the press. 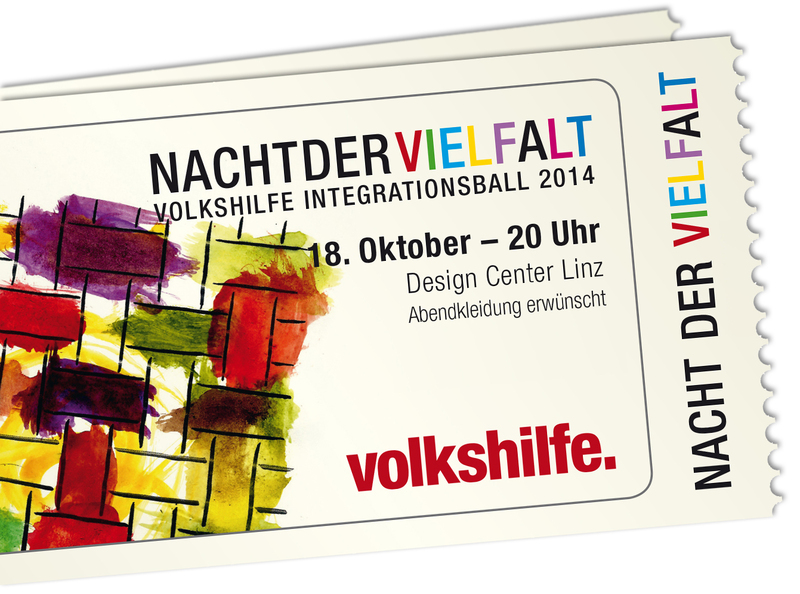 Finally they are here – the tickets for the Nacht der Vielfalt – Volkshilfe Integration Ball. 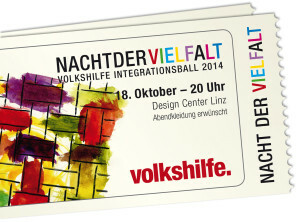 Now available at the Volkshilfe-offices in Linz (Glimpfingerstraße and Stockhofstraße) and via Ö-Ticket. Save your tickets now! Tickets are available in advance sale for 27 Euro (reduced 20 Euro), place cards are only available in advance sale for 8 Euros each.